Please use scroll bar to read entire document! Anything outside of what you've just read is Another Gospel! Please use your scroll bar on right to read entire document! Many churches present a salvation invitation or altar call that is not the complete gospel as given in the Bible. Baptismal regeneration is not the gospel in this Dispensation of Grace. The Apostle Paul warned us about other gospels and false gospels. These incomplete gospel messages do not result in eternal salvation for the person responding. If you take 100% TRUTH and tell it in PART, then it is no longer 100% TRUTH. Therefore contend that the Gospel is PART can not yield Eternal Life. Christ said "it is finished", not "Part of it is finished". The following are some examples of the incorrect or incomplete salvation invitations, which religion and denominations speak. There are many ways (By man), but the only way is by Him (By Christ). Religion has maybe some parts of the truth. So does the Traditions of men. Denominationalism may even say a few verses of the truth here and there, however, if the truth is only in part, it is no longer the truth. In the time period we are now under, the Dispensation of the Grace of God, all men and women all over the whole earth are reconcilled unto God, that is, there is no difference anymore. There is no more Jew or Greek. There is no more Bond or Free. There is no more Male or Female. We are are placed on the same level. Sin is not the issue any more. John the Baptist declared is John 1:29 KJV "Behold the Lamb of God, which taketh away the sin of the world. " The barrier had been breeched when Christ took the sins of the world to the Cross. He took them all, everyone of them. Sin is no longer the issue, you see. The issue is do you want to be saved? Are you saved? Are you truely saved? Lost people die and go to Hell every day, and they die with their sins all paid for. You will not hear this in religion, tradition, nor in the realms of mans denominationalism. It is not popular to teach the truth. It does not generate a whole lote of money, you see. So then, how does one get saved? "Invite Jesus into your heart." This doctrine is not found anywhere in the Bible. "Believe Jesus died for your sins and be saved." Faith in the burial, and the resurrection is missing. "Come forward and receive Jesus." This invitation is not the gospel in the Bible. "Give your heart to Jesus." This is a false gospel that will not bring eternal life, also not in the Bible. "Come to Jesus to get your sins forgiven." ALL of Your sins were forgiven 2000 years ago. "It is finished!" "Be baptized for the remission of sins." Water Baptism does not remove sin, nor is it to Non-Jews. "Life is in the blood of Jesus." No. Eternal life is by faith in the death, burial, and resurrection of Jesus Christ. "Personal relationship with Jesus." This is not found anywhere in the bible. Only saved people can do this! "God elects those whom He saves." This doctrine is not found anywhere in the Bible. "Ask God to forgive you of each of your sins" ALL of Your sins were forgiven 2000 years ago. "Pray the Sinners Prayer" This doctrine is not found anywhere in the Bible. 1 Corinthians 15:1-4 KJV "Moreover, brethren, I declare unto you the gospel which I preached unto you, which also ye have received, and wherein ye stand; By which also ye are saved, if ye keep in memory what I preached unto you, unless ye have believed in vain. For I delivered unto you first of all that which I also received, how that Christ died for our sins according to the scriptures; And that he was buried, and that he rose again the third day according to the scriptures:"
Galatians 1:8-12 KJV "But though we, or an angel from heaven, preach any other gospel unto you than that which we have preached unto you, let him be accursed. As we said before, so say I now again, If any man preach any other gospel unto you than that ye have received, let him be accursed. For do I now persuade men, or God? or do I seek to please men? for if I yet pleased men, I should not be the servant of Christ. But I certify you, brethren, that the gospel which was preached of me is not after man. For I neither received it of man, neither was I taught it, but by the revelation of Jesus Christ." Romans 4:25 KJV "Who was delivered for our offences, and was raised again for our justification." Romans 5:8-10 KJV "But God commendeth his love toward us, in that, while we were yet sinners, Christ died for us. Much more then, being now justified by his blood, we shall be saved from wrath through him. For if, when we were enemies, we were reconciled to God by the death of his Son, much more, being reconciled, we shall be saved by his life." Romans 10:9-11 KJV "That if thou shalt confess with thy mouth the Lord Jesus, and shalt believe in thine heart that God hath raised him from the dead, thou shalt be saved. For with the heart man believeth unto righteousness; and with the mouth confession is made unto salvation. For the scripture saith, Whosoever believeth on him shall not be ashamed." Scripture does not teach that salvation is accomplished by having one's sins forgiven. Most Denominations teach the false doctrine of effectual forgiveness. They teach that sins are not forgiven until one believes Jesus died for their sins. Most Denominations believe that having one's sins forgive equates to being saved. The effectual forgiveness doctrine is not in the Bible. Actually, the Bible teaches just the opposite. While we were enemies of God (meaning unsaved) we were reconciled to God by the death of His Son. It does not require faith to be reconciled to God as many churches falsely teach. Reconciliation does not mean one is saved as these churches teach. It means the enmity between man of God as a result of Adam's transgressions has been reversed, and the sins of the whole world have been forgiven. One is saved by sincere faith in the bodily resurrection of Jesus. We are spiritually baptized with the filling of the Holy Spirit upon our salvation to eternal life, as well as spiritually circumcized (Soul is sealed and cut away from our sinful vile fleshly bodies). Are the sins of all men everywhere totally and 100% forgiven? In Romans 4:25 we see the separation between the forgiveness of sin and salvation. Jesus was delivered up and crucified for the forgiveness of our sin, and He was raised from the dead to provide the way of salvation. The only sin which has not been forgiven is the sin of unbelief in Jesus Christ's death, burial, and resurrection (1 Cor. 15:1-4 KJV). This has been called by some as the "unforgivable sin." Many churches teach Romans 10:13 as the gospel, "For whosoever shall call upon the name of the Lord shall be saved." This verse is a summation of the gospel as presented in Romans 10:9 "That if thou shalt confess with thy mouth the Lord Jesus, and shalt believe in thine heart that God hath raised him from the dead, thou shalt be saved." above but should not be presented as the gospel. The correct and complete gospel is presented in the Bible verses at the top of this article, not in these common man-made church invitations. We are to have a deep faith and truly believe that Jesus was God in the flesh, conceived by the Holy Ghost, born of a virgin, lived a sinless life, did the complete cross work, died on the cross for the sins of the whole world, buried in a borrowed tomb, resurrected by the Father on the third day in order to give us eternal life, and Jesus ascended to the right hand of the Father where He makes intercession for us. Ephesians 2:8 KJV reads "For by grace are ye saved through faith; and that not of yourselves: it is the gift of God: Not of works, lest any man should boast." Jesus said, Matthew 7:13-14 KJV "Enter ye in at the strait gate: for wide is the gate, and broad is the way, that leadeth to destruction, and many there be which go in thereat: Because strait is the gate, and narrow is the way, which leadeth unto life, and few there be that find it." Jesus also said, Matthew 7:22-23 KJV say to me in that day, Lord, Lord, have we not prophesied in thy name? and in thy name have cast out devils? and in thy name done many wonderful works? And then will I profess unto them, I never knew you: depart from me, ye that work iniquity.'" Jesus said the way is "Strait" and "Narrow". Who are these people who say "Lord, Lord" that Jesus is referring to? They certainly are not atheists who will obviously spend eternity in the Lake of Fire. Jesus is talking about people who fail to understand His gospel. Jesus is talking about many people who attend church every Sunday but simply think inviting Jesus into their heart was the gospel. Jesus is talking about TV evangelists who beg for money and present an incomplete gospel message that leaves out the resurrection. Jesus is talking about people whose improper prayer is not heard by God. These people are all on the broad way that leads to destruction as Jesus promised. Proverbs 14:12 KJV "There is a way which seemeth right unto a man, but the end thereof are the ways of death." There is always a way, usually one at a time that seems okay to follow to each man. Through out life in general though, there are many different ways that get followed. In the end, which way will you be found in following? 1 Corinthians 2:2 KJV "For I determined not to know any thing among you, save Jesus Christ, and him crucified." Jack Chick plainly teaches in every Chick Track that faith in Jesus Christ is insufficient to save unless you are willing to cease from your sins. That is works salvation!!! Mr. Chick puts the cart before the horse, demanding a willingness to change as a qualifying prerequisite to faith in Christ. That is a back door approach to Lordship Salvation. I am not loyal to men, but to the Word of God. Anyone who messes with the gospel needs to be exposed. Jack Chick is hindering sinners from coming to Christ! Jack Chick does not believe that faith in Christ is enough to be saved; he also teaches that a sinner MUST have intentions to reform to be saved. That is a very false gospel, ANOTHER GOSPEL. Mr. Chick can try to hide behind his statement of faith, which is vague; but his tracts, every one of them, teach the Lordship Salvation heresy!!! A man told me that he wouldn't get saved for a long time, because Jack Chick's Chick Tracts had taught him that God wouldn't save him unless he was willing to stop shacking up with his girlfriend in fornication. Since the man wasn't willing to turn from some of the sins in his life, he thought he couldn't be saved. I think that's a big issue and Jack Chick is corrupting the gospel, adding a step that God never added to be saved. We are the SINNERS and Jesus is the SAVIOR... it's that simple! A person is saved if they acknowledge their guilt of sin before God (Romans 3:19) and trust upon Jesus, the Christ, the Son of God (John 20:31)!!! I am sick and tired of Christian leaders being loyal to each other instead of the Bible. Anything can be justified. It is apostasy! I see pastors of large churches blindly supporting other pastors who deny the inspiration of the King James Bible. They're a disgrace to the ministry!!! Get right with God you Bible-inspiration-denying imposter! And then I see influential Christian authors and leaders supporting men like Jack Chick who teach millions of people that they cannot be saved unless they surrender to Christ and are willing to stop sinning. In step one Jack Chick says to admit you are a sinner, and then in step two he requires people to be willing to turn from sin (repent). Biblical repentance only requires step one; not step two. Since this is a separate step from admitting you're a sinner, clearly Jack Chick expects people to reform to be saved. This is a false gospel and I'm going to contend for the Christian faith against anyone who hinders sinners from coming to Christ for salvation. Jack Chick is hindering sinners from coming to Christ! I am not being unkind, but it's time for Christians to stop getting their theology from Hollywood movie stars like Kirk Cameron, high-level Freemasons like Pat Robertson (who was ordained into the ministry at the Freemason Street Baptist Church), Council On Foreign Relations [CFR] members like Rick Warren, and cartoon artists like Jack Chick. WHAT SAITH THE SCRIPTURE? WHAT SAITH THE SCRIPTURE? WHAT SAITH THE SCRIPTURE? WHAT SAITH THE SCRIPTURE? All of these men teach that faith in Christ is not sufficient for salvation unless a person is willing to surrender their life to Christ and be willing to stop sinning. This is salvation by WORKS (which is not salvation at all, Romans 11:6). The Bible speaks plainly in Romans 4:5, “But to him that worketh not, but believeth on him that justifieth the ungodly, his faith is counted for righteousness.” That's what saith the Scripture! How much clearer could the Word of God be... but to him that WORKETH NOT... HIS FAITH IS COUNTED FOR RIGHTEOUSNESS!!! Jack Chick and others like him need to get out of the driver's seat and stop trying to do the Holy Spirit's job of convicting sinners concerning their sins and the changes that need to be made in one's life. That's God's department. Mr. Chick's artwork is captivating and unsurpassed in quality. It is certainly true that Chick Tracts get read. Unfortunately, Jack Chick is doctrinally flawed (as are many religious leaders, authors, and influential people in churches today). Chick Tracts are recognized worldwide. Mr. Chick's ministry has received tens-of-millions of dollars in revenues from the sale of his religious cartoon tracts. The ministry boasts of having sold over 500,000,000 copies worldwide! Tragically, many people are being deceived by Mr. Chick's false gospel. Truly the love of money is the root of all evil (1st Timothy 6:10). In step #2 on how to go to Heaven, Jack Chick teaches damnable heresy... “Be willing to turn from sin (repent).” This is unbiblical. To require sinners to “be willing to turn from sin” to be saved is an act of self-righteousness. Jack Chick has perverted the Gospel. The word “repent” in the Bible simply means “a change of mind”; not a change of behavior. Jack Chick cites Acts 17:30 as evidence of his perversion of the Gospel... “And the times of this ignorance God winked at; but now commandeth all men every where to repent.” Although it is certainly true that repentance is necessary for salvation, the Bible does not teach that a sinner must “be willing to turn from sin” in order to be saved. Jack Chick wrongly assumes that repentance means from sin; thus, he has fabricated his own false gospel of works salvation. This is a very serious issue, because if one's wrong on salvation—they're wrong on everything. Please read REPENT! REPENT! REPENT! to learn the Biblical meaning of repentance. Also, I just want to point out that California appears to be a hot-bed of heresy, considering that John MacArthur, Jack Chick, Ray Comfort, and Kirk Cameron are all based in the state of California. Jack Chick's teaching on repentance is that you cannot come to Christ for salvation unless you first intend not to walk in sin after you receive Him. This is “qualification by works” as a prerequisite for receiving Christ as Savior. Also, notice the prayer that Jack Chick leads sinners to pray in order to be saved. He includes the phrase... “I am willing to turn from sin.” This is of the Devil. Salvation is a free gift, NOT conditioned upon our willingness to turn from sin. You can't show me one Scripture where the Word of God requires someone to be willing to forsake their sins to be saved. Again, it is “qualification by works” as a prerequisite for receiving Christ as Savior. Please notice that the words “believe” and “believeth” are found 85-times in the Gospel of John; but the word “repent” is NOT mentioned even once. Clearly, the man who believes on Christ has repented. That is what Biblical repentance is...turning to God by faith in Jesus' name to be forgiven of one's sins. Romans 4:5 plainly states... “But to him that worketh not, but believeth on him that justifieth the ungodly, his faith is COUNTED for righteousness.” Did you read that? ... a man's faith is COUNTED for righteousness!!! This means that a person can be saved and continue living in sin. Before you get upset, you'd better stop and realize that the Bible is filled with believers who lived in horrible sin. Noah was a drunkard. Samson was a whoremonger. David was an adulterer and murderer. Rahab was a prostitute. Isaiah had a dirty mouth. Jonah ran from God. Peter denied and cursed the name of Jesus. 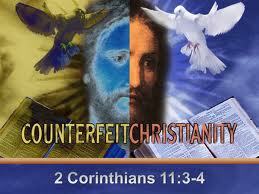 Ananias and Sapphira stole from the church. The church at Corinth had a serious problem with church members committing fornication, fighting against each other, suing one another, and even showing up drunk at the Lord's Supper. Jack Chick cites Acts 17:30 in support of his heresy. Carefully notice in Acts 17:30 that God COMMANDS all sinners to “repent” in order to be saved. Repentance is NOT optional. So “being willing” to repent is not enough! God orders us to REPENT!!! If repentance is merely being "willing" to turn from sin, as Jack Chick defines it, then salvation cannot occur. The Word of God plainly states that there can be no salvation without repentance. Yet, Jack Chick defines repentance as merely being "willing" to turn from sin (not actually doing anything about one's sins). Clearly, Jack Chick's definition of repentance is impossible, because how can you only be "willing" to do something that God absolutely requires you to do to be saved? Obviously Jack Chick is wrong on the Biblically meaning of repentance. You won't find any Scripture references about "repenting from sin" to be saved. Iin Acts 11:21 we read, "And the hand of the Lord was with them: and a great number believed, and turned unto the Lord." This is Biblical repentance... turning to the Lord to be saved. To turn to Jesus by faith to be forgiven and saved from sin is repentance. God commands all men to turn to Jesus Christ to be saved, because we are sinners. It's as simple as that. Please read, What is Biblical Repentance? Yet, Mr. Chick horribly contradicts himself in every tract he writes when he REQUIRES lost sinners to "Be willing to turn from sin" to be saved. No Sir! Why doesn't he state that in his statement of faith? This is deception! Jesus plainly said in Revelation 21:6... "I will give unto him that is athirst of the fountain of the water of life FREELY." Jesus said in John 7:28, "He that believeth on me, as the scripture hath said, out of his belly shall flow rivers of living water." Mr. Chick states on one hand that he believes "salvation is the gift of God"; but then on the other hand teaches that a person MUST "be willing to turn from sin" to be saved. What a contradiction! Regardless of what Mr. Chick claims to believe, we must analyze his Gospel tracts based upon their content. In order to be saved, Jack Chick requires a sinner to pray the words... "I am willing to turn from sin." This is unbiblical. The implication is that a person must cease from the activity of sin to be saved. This is the heresy of Lordship Salvation, which is nothing less than works salvation, and a sure road to hellfire. Biblical salvation is when a person turns toward Jesus Christ to be saved from their sin; NOT turning from their sin in order to be saved. Romans 3:19 states, "Now we know that what things soever the law saith, it saith to them who are under the law: that every mouth may be stopped, and all the world may become guilty before God." Carefully notice that a person is only required to turn to Jesus to be saved from the condemnation of sin, and not from the act of sin itself. The Law of God shows us our sinful condition, which causes us to realize that we are GUILTY! Repentance is when we "turn" to Jesus to receive His free gift of forgiveness and eternal life. To turn to Jesus Christ for the forgiveness of sins is Biblical repentance. This is drastically different than what Jack Chick is teaching, i.e., that a person is required to be willing to turn from the act of sin itself to be saved. You won't find the phrases "repent of sin" or "turn from sin" anywhere in the Bible. It is false doctrine to require lost sinners to "be willing to turn from sin" as part of saving grace. Jesus shed His precious blood to pay for our sins, because our own self-righteousness could NOT save us. Isaiah 64:6 declares our own self-righteousness as "filthy rags" in the sight of God Almighty. Matthew 6:33 commands... "But seek ye first the kingdom of God, and HIS RIGHTEOUSNESS; and all these things shall be added unto you." To go to Heaven my friend, you need HIS RIGHTEOUSNESS, i.e., Jesus' righteousness. We read in Romans 10:3,4... "For they being ignorant of God's righteousness, and going about to establish their own righteousness, have not submitted themselves unto the righteousness of God. For Christ is the end of the law for righteousness to every one that believeth." Jack Chick asks sinners to establish their own righteousness when he tells them they MUST "be willing to turn from sin" in order to have God's free gift of eternal life. All that God requires for salvation is that we come as sinners and trust the Savior. Acts 16:30,31 state: "Sirs, what must I do to be saved? And they said, Believe on the Lord Jesus Christ, and thou shalt be saved, and thy house." Salvation is receiving; NOT giving. It is the gift of God. Jesus paid for our sins with His own precious redeeming blood (i.e., His literal physical blood)... "Neither by the blood of goats and calves, but BY HIS OWN BLOOD he entered in once into the holy place, having obtained eternal redemption for us." What a Wonderful Savior! For years, I ignorantly supported Jack Chick's ministry, not realizing that he was teaching the Lordship Salvation heresy. After several months of conviction by the Holy Spirit, I decided I needed to do the right thing and stop distributing Chick Tracts. I speak the truth without apology. Say what you will about how much Chick Tracts get read... it makes them all that much more dangerous, especially to children. Jack Chick is wrong on salvation! As with Ray Comfort, John MacArthur and other Lordship Salvationists, Jack Chick speaks double-talk, i.e., he says one thing in his official doctrinal statement, and something completely different in his Chick Tracts. The doctrinal content in Chick Tracts is 100% contradictory to Mr. Chick's official doctrinal statement. Either Salvation is a Free Gift or It's Not! Either salvation is a free gift; or else it's not and we must be willing to change our lifestyle in order to obtain eternal life. Romans 4:5 plainly states that our faith is COUNTED for righteousness, which means that if we never do one good thing again, and live in sin 'til we die, we can still go to Heaven if we believe on Jesus, i.e., He who justifieth the ungodly. This is what the Word of God teaches! See, Scriptural Proof that Lordship Salvation is a Lie! Some people try to use Isaiah 55:7 to justify the false doctrine of Lordship Salvation... "Let the wicked forsake his way, and the unrighteous man his thoughts: and let him return unto the Lord, and he will have mercy upon him; and to our God, for he will abundantly pardon." However, the Bible doesn't use the word "sin," It says "way." John 3:20 explains Isaiah 55:7... "For every one that doeth evil hateth the light, neither cometh to the light, lest his deeds should be reproved." It is love for sin that prevents men from coming to the Lord for salvation. To be saved, a sinner must come to the place of becoming guilty before God (Genesis 3:19). This is what Isaiah 55:7 means. A sinner must come to the realization that they are guilty of violating God's commandments, and that they are hellbound in their sins if they don't come to Jesus for salvation. If "forsaking one's way" means departing from sin, then we're all in big trouble because there is NO Christian who doesn't sin every day. It is not that men must literally forsake the act of sin to be saved, nor even be willing to do so; BUT rather, they must become guilty before God as sinners, under the condemnation of God's Holy Law, in need of a Savior. One who has believed on the Lord Jesus for forgiveness has repented concerning his sin, although there may NOT be a willingness to turn from sin at that time. The church at Corinth was plagued with sins, and they clearly didn't have a willingness to turn from sin. Paul called them "babes in Christ" (1st Corinthians 3:1). Perhaps Mr. Chick simply means that genuine repentance should result in inward change; BUT, that is NOT what his Chick Tracts teach!!! Jack Chick adds an unnecessary requirement to being saved; namely, being willing to turn from sin. America is saturated today with sanctimonious religious people, who refuse to acknowledge that a true believer can be immature in the Lord, living in horrible sin, and shaming the name of Jesus. The Bible is filled with such examples. Heaven will be filled with the only type of people there are—SINNERS! You see, Jack Chick is foolishly requiring the change that salvation brings as a requirement to be saved. That's like placing the cart in front of the horse and expecting him to pull it. Tragically, Chick Tracts are a big hits with Pentecostal Charismatics, who wrongly teach that a person can lose their salvation if they don't persevere in the faith. Again, this is a "works salvation" heresy. Man has NO part in salvation other than to believe on Jesus. John MacArthur also teaches Works Salvation!, while simultaneously stating that he believes salvation is by grace through faith. These are masters of deceit! Jack Chick is a false prophet! Stop trying to force people to live right by corrupting the simple plan of salvation! I realize that Mr. Chick has done MUCH to promote other ministries and Christian authors who are diligently fighting against the evils of Catholicism, Wicca, et cetera (and I can appreciate that); BUT, I cannot sit back as a God-fearing believer and remain silent while Jack Chick is telling millions of people that they MUST "be willing to turn from sin" to be saved. Mr. Chick fails to explain what he means in his tracts by the phrase, "be willing to turn from sin." The only reasonable conclusion that a person can assume is that they cannot be saved unless they are willing to cease from their sinful living (which is untrue!). I recently received a letter from a gentleman, who told me that for many years he was reluctant to get saved, because he had read a Chick Tract and genuinely thought God wouldn't save him unless he was willing to stop living in sin. The man expressed his frustration that he would have died and went straight to Hell because of Jack T. Chick, if it weren't for a dear saint of God, who explained to him from the Bible that eternal life is a free gift of God which is NOT conditioned upon a lifestyle change or willingness to clean up one's life. Jack Chick is teaching heresy and should be avoided by all soulwinning ministries. My recommendation is to write and draw your own Gospel tracts. People will look at your pictures just as eagerly as they will Mr. Chick's. I am not happy to expose Jack Chick as a false prophet. In fact, it pains me. I realize most professed "Christians" today are phonies. Certainly, genuine repentance should result in a drastic change within the soul of the believer (2nd Corinthians 5:17). However, the change comes as a RESULT of genuine repentance; and NOT as a prerequisite to salvation itself. Jack Chick requires a willingness to change (i.e., turn from sin) as a requirement to be saved. This is damnable heresy and a road to Hell, because it is self-righteousness! Hebrews 12:8 tells us that God will chastise His children if they live in sin. Although no believer can live in sin without Holy Spirit conviction, many believers do live horribly sinful lives (as evidenced by king Solomon in the Bible). To be saved, a person must become GUILTY before God (Romans 3:19), realizing one's condemnation under God's Holy Law, and justly deserved penalty in Hellfire—turning by faith to Jesus Christ for forgiveness. The precious blood of Jesus Christ is what washes our sins away forever... "Forasmuch as ye know that ye were not redeemed with corruptible things, as silver and gold, from your vain conversation received by tradition from your fathers; But with the precious blood of Christ, as of a lamb without blemish and without spot" (1st Peter 1:18,19). 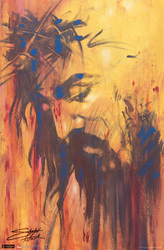 Jesus paid a debt He did not owe; because we owed a debt we could not pay. Oh how foolish it is for anyone to require lost sinners to be willing to depart from their sins to be saved. 1. Admit you are a GUILTY sinner, under the condemnation of God's Law, deserving of Hellfire (Romans 3:19-23; 6:23). 2. Believe on the Lord Jesus Christ, Whose redeeming blood will wash away your sins (Acts 16:31; 1st Peter 1:18-19). The change (i.e., the FRUIT of a believer's faith) that genuine repentance brings is not a requirement to be saved. It is a separate issue. We must not confuse the ROOT of a believer's faith with the FRUIT of a believer's faith (See: Are We Justified by Faith and Works?). It's the churches who don't take the matter of salvation seriously who are also bought and paid for by the government, having sold their soul to become a 501c3 organization churches and religious organizations receive tax-exemption as a pay-off for not getting involved with government matters. if you criticize blatant crime, theft and tyranny in the government, then you lose your tax-exemption. Don't tell me that America's churches haven't been bought off!!! Doctor. Doctor. You gonna follow a Doctor? In Christ and in the Body? You not yet complete in Christ? WHY? Which Gospel? Preach When and Where? One Gospel – No Turning Away! “I marvel that you are turning away so soon from Him who called you in the grace of Christ, to a different gospel, which is not another; but there are some who trouble you and want to pervert the gospel of Christ. But even if we or an angel from heaven, preach any other gospel to you than what we have preached to you, let him be accursed. As we have said before, so now I say again, if anyone preaches any other gospel to you than what you have received, let him be accursed. But do I now persuade men, or God? Or do I seek to please men? For if I still pleased men, I could not be a servant of Christ. But I make known to you, brethren, that the gospel which was preached by me is not according to man. For I neither received it from man, nor was I taught it, but it came through the revelation of Jesus Christ,” (Gal. 1:6-12). We like happy stories, so we would like for this to read something like: The people in Galatia heard the good news about Jesus Christ and recognized their lost condition. They responded according to the teachings of the apostles and after being baptized, they just did fine, faithfully serving the Lord until they died. The devil didn’t let the story move in that direction. There were men in this region used by the devil to cause trouble, perverting the gospel of Christ. Paul learned of this trouble and the Holy Spirit used him to write to them, expressing his concern, correcting the error and charging them to be obedient to God, not men. He begins with a warning against turning away from the Lord. “I marvel that you are turning away so soon from Him who called you in the grace of Christ, to a different gospel.” When first converted, we turn from sin to God, being able to do that because of Christ’s sacrifice. Once we do that, we should carefully guard against turning back into sin, out of fellowship with God. We should read this and take it as a warning against any movement away from God. To be able to leave sin and come to God is an opportunity of such grace - To have what you need for good moral life here and to be ready to meet your Maker - To be able to trust in God and rely on His promises – To have the teachings of the New Testament to guide you to good character and service - To have Christians who are ready to help you serve God - THEN, turn away from all that?? What can be said of that? “Beware, brethren, lest there be in any of you an evil heart of unbelief in departing from the living God,” (Heb. 3:12). So the apostle Paul responds to this turning away of some by laying down this affirmation: THERE IS NO OTHER GOSPEL! If you depart from . . . If you accept a perverted version . . . If you do not continue to obey the truth of the gospel . . . In the region of Galatia, men came in and apparently persuaded some – that the gospel Paul preached was incomplete. The argument was made that, in order to be saved from sin – there are requirements you must meet, that Paul didn’t tell you about. Seems clear, they were pushing Christians back into the Law of Moses and the practices of religious Judaism. “Change agents” were advocating that the apostles of Christ didn’t really have it exactly right; they didn’t tell the whole story about being a child of God. They were saying, “there are actually other things necessary.” Thus, they were “changing” the message (not in reality but in presentation). Paul is responding to that, offering this very simple answer: THERE IS NO OTHER GOSPEL. Think about what the gospel is. The problem we have is sin (violating God’s law, offending Him and taking us away from Him and destined for hell). God has provided a remedy. In sending His Son to live and die for us (and be raised from the dead), God has acted with love and grace toward us. If we believe all this and we respond (as taught by the apostles), we become Christians and enjoy the privilege and obligation of continuing to obey God and be His children, as we abide in Christ. That’s the gospel. That’s the simple message delivered by the apostles and written in the New Testament. If we accept a “modified version” or “changed message,” we have turned away from the author of the true message, the only message. It behooves us to understand, when people come along and claim they can “complete the message” delivered by the apostles, they really cannot! God gave a perfect, complete message of salvation through the apostles of Christ. There is no other gospel. Don’t let anyone deceive you or tell you otherwise. While it may be pleasing to accept an ecumenical, pluralistic, generic form of Christianity, we ought to stand where Paul stood: Look at verse 10 – “….do I seek to please men? For if I still pleased men, I would not be a servant of Christ.” Pleasing men is not our objective. We are to be pleasers of God first. When someone promotes something that may sound like the gospel, but isn’t what is written in the New Testament – we ought to see that as TROUBLE! The broad, pluralistic, ecumenical approach to Christianity is offered in our society as sweet, unifying, diplomatic, accepting and comfortable. Problem is, God didn’t give us a message we can adapt, modify, change or add to! it is not our purpose to take the Bible and tamper with it, deny parts of it, or handle it to suit our tastes or the demands of popular culture. Later in this epistle, Paul says: “O foolish Galatians! Who has bewitched you, that you should not obey the truth?” (3:1). Obeying the truth. There it is plainly. God says to us through His Word: Here is the truth. You have sinned and Christ is the remedy. Respond to Him by the activity of your faith, obeying the teachings given through the apostles. What could be simpler? Paul doesn’t take the pluralistic approach, that any message you like can be called “the gospel of Christ.” Paul doesn’t say – It’s ok . . . . they have their version of the gospel we have our version – NO PROBLEM. Paul doesn’t say, “Here’s the message; but it is flexible; do with it as you please, no problem.” (Read again verses 6-9). I believe this: Those who take God’s truth lightly, those who misrepresent the teachings of Scripture, those who build human religious empires, those who turn away from Christ to another gospel face a terrible prospect on the judgment day! We must – when we read the gospel – understand this simple fact: It is not according to man! Men witnessed the death, burial and resurrection of Christ. Certain men were inspired by God to deliver the message and give the terms of the New Covenant. Men can hear the gospel, preach the gospel and obey the gospel, becoming a member of the Lord’s one church. But man did not originate the gospel. Paul did not make it up. The apostles did come up with baptism. The gospel we read and believe and obey – was in no sense an invention or product of men. This is foundational truth – the gospel Paul delivered, that we have in the New Testament, is not ours to change – it is ours to obey! Do you see what Paul is saying, that there is no other gospel? That there is only the one revealed through the apostles? The gospel of Christ simply says . . . The problem we have is sin. God provided the remedy in sending His Son to live and die for us – who was raised from the dead. Believing that, we respond, according to the instructions given by the apostles – become Christians, and continue to follow the instructions of the apostles in all that we do. That is the gospel; that’s the message. Hear it, believe, obey it, live by it and have life with God now and eternally. Reject it, turn from it and you bring upon yourself eternal condemnation.